A reverse mortgage refinance or reverse mortgage purchase can be an excellent tool in your overall financial plan. This page answers some basic questions and will provide the framework for you to talk to a reverse mortgage professional about your situation. A reverse mortgage enables you to withdraw a portion of your home’s equity, use it any way that you like, make no form of monthly repayment, stay in your home as long as you like, and when you are ready to sell your home or you have passed, the loan is repaid. This program is insured by the Federal Government. You do not forfeit title to your home or lose any other rights as the homeowner. You or your heirs decide when or if the home is to be sold and after repaying the loan balance, all remaining equity in the home belongs to you or your heirs. You never forfeit title to your home and you retain all your rights as the homeowner. As long as one borrower occupies the home and property taxes and homeowners insurance are kept current, you cannot be required to leave or sell the home. You can never owe more than the value of the home, and you cannot leave yourself or your family in debt. Low interest rates, home appreciation and how interest is assessed often result in substantial equity remaining untouched and available to pass on to your heirs. The proceeds from a reverse mortgage are not taxable and they will not affect your Social Security or Medicare benefits. Reverse mortgages can be used to pay off mortgage balances on your current home, or used in the purchase of a new home that might better suit your needs. In all cases, you will have eliminated all requirements to make monthly mortgage payments. The home is your principal residence. You pay the property taxes on the home. You pay the homeowners insurance on the home. **Please note that if you have a rental property (or several), you will need to provide additional information and confirm that those properties are rented out. Q. Can I use a reverse mortgage to purchase a home? Q. Do I need to meet the same credit and income requirements that I would with other types of mortgages? A. Borrowers do need to meet certain credit and income standards, but those requirements are much different than for other mortgages. Often clients that would not qualify for a traditional mortgage will have no difficulty qualifying for an FHA Insured Reverse Mortgage. Q. Will I lose my home if it's worth less than I owe? A. No! 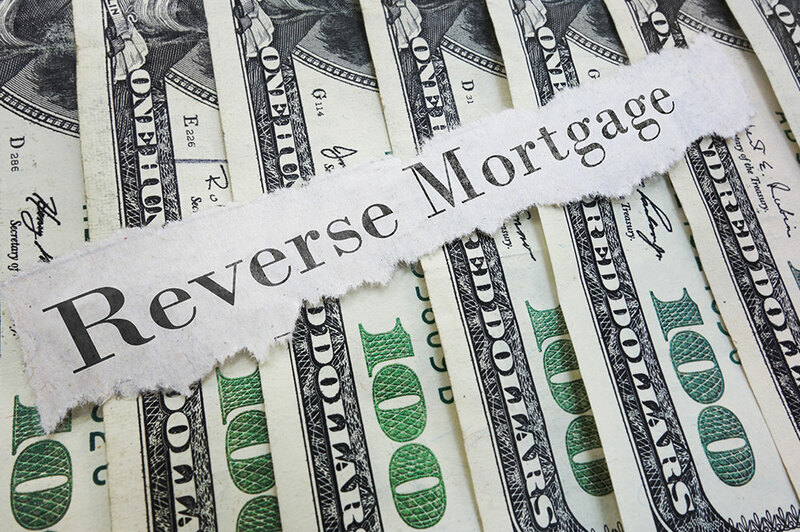 A reverse mortgage is a non-recourse loan and the borrower has no personal liability whatsoever. So if the home is sold and there is a negative balance, FHA (an Federal Government-backed insurance company) makes up the difference. Additionally, there is no payment needed from you as long as you reside in the home, so the home can’t be taken from you regardless of what the real estate market is doing. Q. What options do my heirs have? A. Like any other mortgage, your heirs can keep the home by paying off the current loan. They may also choose to sell it and keep the proceeds. If the home is under water (worth less than owed) and your heirs wish to sell it, then the home is given back to the bank. Q. How much equity do I have to have in my home to do a reverse mortgage? A. You do NOT have to own your home free and clear in order to do a reverse mortgage. The amount of equity needed will vary with each situation. The actual loan amount that you can qualify for will depend on your age, the current interest rate and value of the home. Q. How can I receive the reverse mortgage proceeds? A. 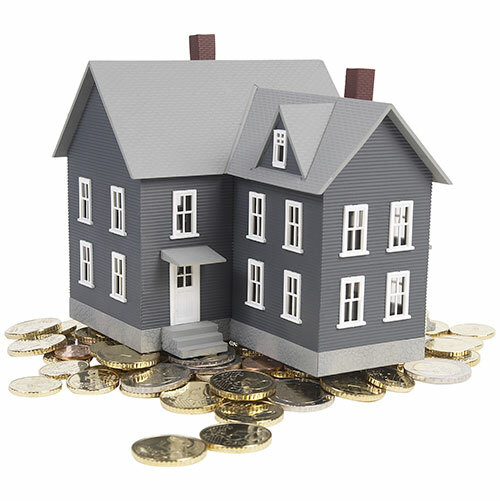 If you are using your Reverse Mortgage to finance the purchase of a new primary residence you will receive a lump sum. If you are using the loan to refinance a home you currently own, you will have several options including a line of credit or structured monthly income. Q. Are my proceeds taxed? A. No! Your reverse mortgage proceeds are tax free. Q. If I do a reverse mortgage, there will be fewer assets for my heirs, right? A. Usually no. In fact, it will provide YOU with cash flow now. You could choose to invest that money and then leave the investment to your heirs. Alternatively, your home value could appreciate and you would still leave the proceeds to your heirs at the same time that you are receiving income for yourself. Q. What if I choose to repay the reverse mortgage loan? A. You don’t have to pay it back, but you can pay it off whenever and however you choose. There is no prepayment penalty. Q. I'm 65 but my spouse is 60. Can we get a reverse mortgage? A. You can, but your spouse is treated like any other heir and will not be on the loan. You can refinance the home once your spouse is 62, if you choose, assuming you both qualify. Q. I've always heard that reverse mortgages are really expensive. Is that true? A. No. In fact, the closing costs for a reverse mortgage can be financed into the loan so there is little to no cash out of pocket. Q. Who should I contact if I want to talk about my options? A. Give us a call and we can get you in touch with an experienced reverse mortgage professional.